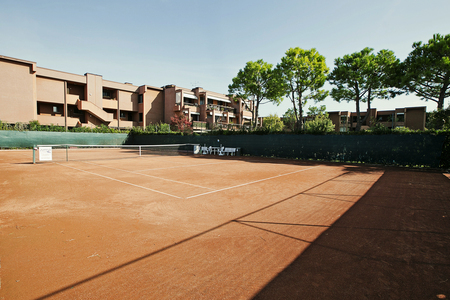 Enjoy a poolside moment or a game of tennis, with this lovely holiday resort apartment in Desenzano! 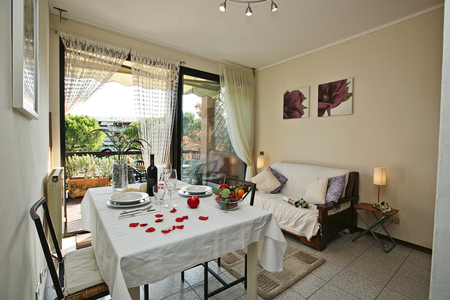 Boasting a shared onsite swimming pool and tennis courts, this balcony apartment for 4 provides a carefree base from which to soak up a laid-back holiday on Lake Garda! Internally, the apartment benefits from a relaxed and appealing open plan layout. A comfortable Living space provides access to a balcony with views across the gardens to the lake and mountains in the distance. A Kitchenette also provides welcome flexibility for snacks and drinks together. 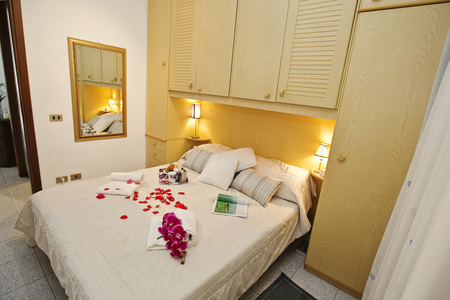 A spacious Master bedroom with Double bed and overhead storage is accompanied by a modern shower room, whilst a small Double sofa bed to the Living room enables 2 kids or 1 adult guest to come and stay. 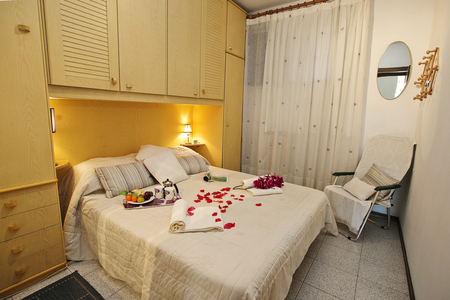 The 1st floor apartment features within a modern 3-storey residence. Free public parking features just outside the gated residence. 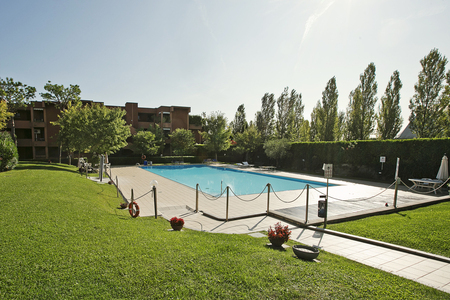 The location couldn’t be more ideal, being under an 11-minute drive away from the famous castle, resort amenities and visitor highlights of Desenzano. Key Features: • Lake view apartment for 2-4 • Lake and mountain view balcony • Alfresco dining set • Shared garden and swimming pool • Communal Tennis courts • Close to town Sleeping: Bedroom 1: A comfortable Double bedroom with overhead storage A Double sofa bed for 2 kids/ 1 single adult guest features to the Living room Bathroom: Bathroom 1: Modern family shower room with a wash basin, WC + bidet Additional: • Central heating • A WiFi portable device can be hired, upon request (for an additional charge) • Washing machine • Accessed via 10 external steps • Unheated swimming pool • The pool is open from 15th May - 15th October • In total, 20 apartments share the tennis courts and pool • Public parking available Location: Situated along ‘Via Papa Giovanni XXIII’, guests are placed 350 metres from the nearest beaches and a 30-minute lakeside walk or 9-11 minutes’ drive away from the picturesque Piazza Malvezzi, the ancient castle and the resort amenities of central Desenzano. A fabulous range of authentic restaurants, cafes and bars can be savoured, as well as many shops. The timeless harbour and popular family beach provide a carefree setting for holiday enjoyment, whilst the ancient castle offers a romantic back drop to this very beautiful lakeside town. 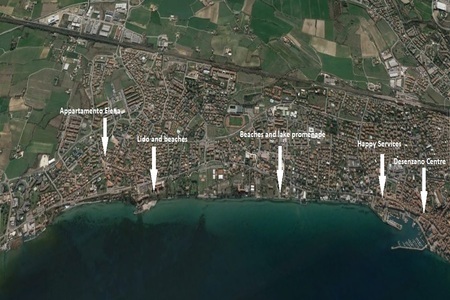 Train links from Desenzano also provide easy access to Verona, Venice, Milan and Brescia, whilst the road and ferry links offer proximity to the famous spas of Sirmione (18 minutes’ drive away), and the local resort delights of Manerba del Garda, Salo, Limone sul Garda, Riva del Garda, Bardolino and Garda. Families looking for classic fun are well placed for reaching Gardaland and Movieland (19 minutes’ drive) and Caneva Park (26 minutes’ drive). Golfing fans will also find the Arzaga Golf club nearby (19 minutes’ drive). 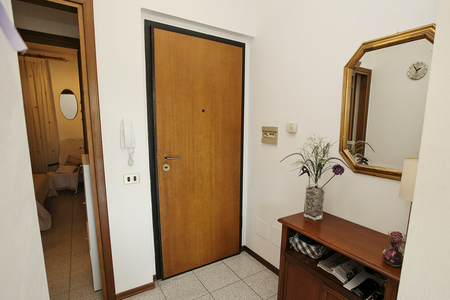 The closest airports to the holiday apartment are Verona (34 minutes’ drive) and Milan Bergamo (56 minutes’ drive). The additional service charge is 100. 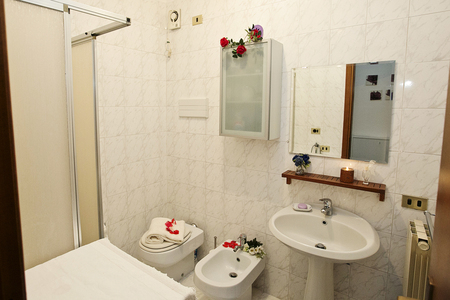 We offer a range of extra facilities, which are available for hire through our office Happy.Services in Desenzano del Garda: Cot Hire - €20 per stay, High Chair - €15 per stay, Push Chair - €25 per stay, Camp Bed – €85 per stay, Wi-Fi or Mobile Internet Stick - €35 per stay. Please note that signal and connectivity is not guaranteed and may depend on the strength of the signal in your rental property.